Wilson Care Group comprises two long-term care organizations: Wilson Homecare and Wilson Senior Living in Kailua. 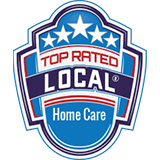 Wilson Homecare is a state-licensed, private-duty home health care agency, and Wilson Senior Living in Kailua is a state-licensed, adult residential care home, type II. We proudly serve the island community of Oahu, Hawaii. Wilson Care Group’s mission is to provide quality, compassionate care to individuals who need assistance with their daily activities, whether for just a few hours each day or for personal care assistance around-the-clock. We provide dependable, compassionate care in your Hawaii home or in ours! 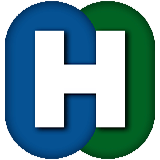 Contact us to find out more about our home health care services or our senior living facility. Shelley Wilson founded Wilson Homecare in 1996. She has personally guided its growth to become Hawaii’s largest private-duty home health care agency. Over the years, clients often asked Shelley about other long-term care options when home care services were no longer appropriate for their loved ones’ care. In 2013, after years in planning and development, the doors to Wilson Senior Living in Kailua opened to welcome our first residents to this state-of-the-art adult residential care home. Headquartered in Honolulu, Wilson Care Group provides in-home health care services island-wide and senior living residential services at our elder care facility in Kailua. Wilson Homecare brings the services you'll find in a skilled nursing facility to you in your home. 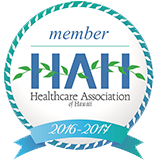 We are licensed by Hawaii's Department of Health as a private-duty, home health care agency. Wilson Senior Living is also licensed by Hawaii’s Department of Health as an adult residential care home, type II, for 22 residents. Contact us to set up senior living or home health care services today! We comply with all state regulations governing our licensure, and our standards promote quality health care delivery. We strive to provide outstanding home health care to our clients and work toward continuous quality improvement in all that we do. Call us at 833-428-1087 to schedule a complimentary initial consultation or visit our contact page to send us a message.